Discuss your latest vintage Amiga finds! I found the Unbelievable A1000 Weekend Haul at Reddit and then i found this site. Here is my Amiga score. I found this at a second hand store here in Sweden for 15$. The Amiga 1200 works perfectly. I don't use that ghetto AT in Atari case power supply. My friend still had he's old Amiga 500 power supply at the addict so he gave it to me. My friend found this for me. I paid 10$. The power button at the back still works! Wow! Great job - that’s awesome. Everything looks to be in nice condition, too. Nah the Amiga 1200 got a bit "ghetto" touch. Someone used other screws and there is a square sawn in the trapdoor. Someone used a turbo card and used some cooling or something. If you see the IDE cable to the left. It went out from the side. Maybe to use a cd-drive. @lakanman hm.. that's annoying. Maybe you could pre-order a new case. That's probably what I would do if I aimed to keep it. Yah.. to bad the cost more than gold and saffron. lakanman wrote: I found the Unbelievable A1000 Weekend Haul at Reddit and then i found this site. 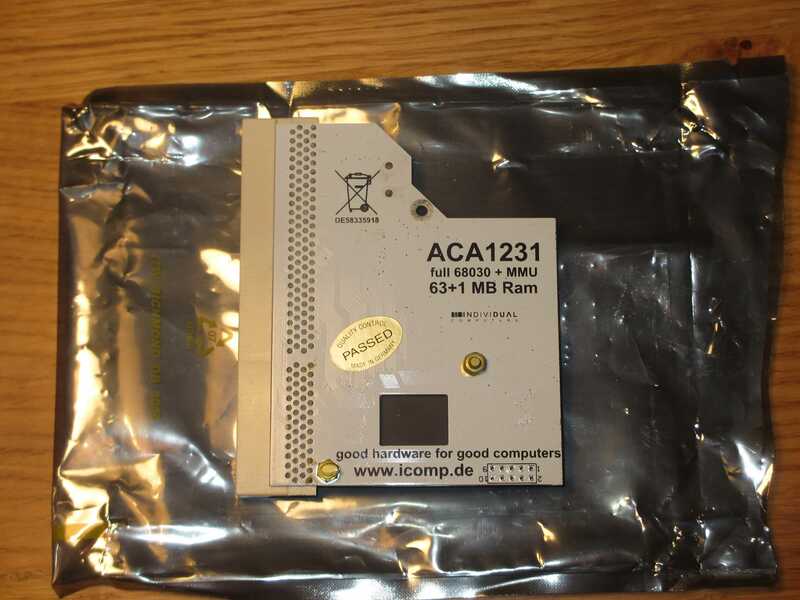 When I first bought my A1200 a few years back, the first thing I grabbed was an ACA1232 accelerator. It's been awesome and reliable. It has played every game I have thrown at it with no issue. Back then, they were a fantastic deal as most old school accelerators went for crazy cash. I like the tape drive that appears to be connected via an IDE cable! That made me chuckle. 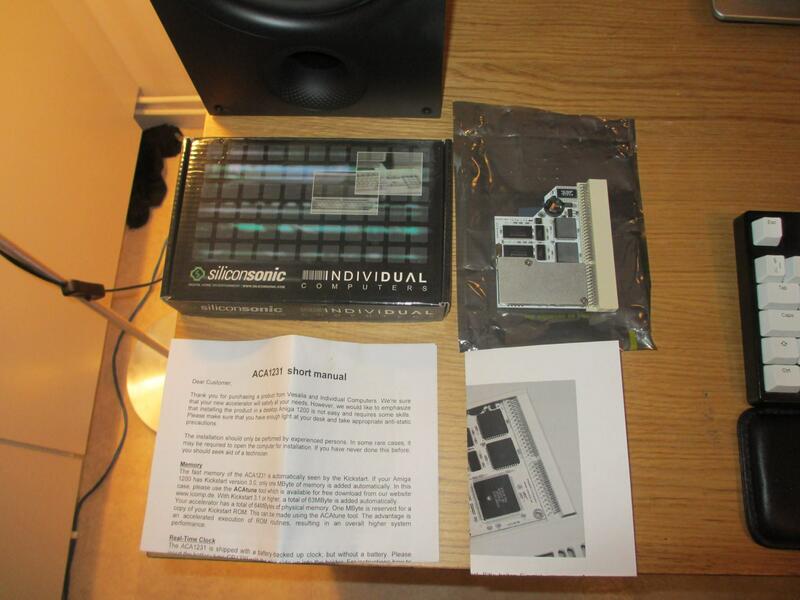 DuhProject wrote: When I first bought my A1200 a few years back, the first thing I grabbed was an ACA1232 accelerator. It's been awesome and reliable. It has played every game I have thrown at it with no issue. Back then, they were a fantastic deal as most old school accelerators went for crazy cash. If I do manage to get myself an Amiga 1200, I'd gladly throw the cash down to get an ACA1233n for it. A full 128MB RAM and a fast 030? Oh hells yeah!